Over the last 18 months we have been working with NHS Hounslow Clinical Commissioning Group and the North West London Whole Systems Integrated Care (WSIC) programme to develop a new approaching to supporting people with long term mental health needs within the community. Based upon principles of co-production a new approach to delivering support was developed by local people with mental health problems and people working in mental health and primary care services. The co-designed integrated model of care was presented to the CCG, April 2015 and they agreed to fund what is about to be launched as the Hounslow Wellbeing Network. At the McPin Foundation we are pleased for a number of reasons. Firstly, we have learnt so much from the working group in how to approach the co-design process – including compromise! We have made friends and it’s been such a rewarding journey supporting this process in Hounslow. Secondly, as researchers it has been a rare experience because a piece of research work that we developed and delivered has fed into service development that is going to directly impact on people’s lives in a very short period of time. Not research sitting on a shelf, but actively shaping change at the level of care delivery. Thirdly, it has provided the opportunity to further develop our Personal Wellbeing Network Mapping methodology. 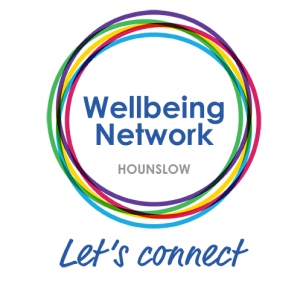 Within the Hounslow Wellbeing Network members will have the opportunity to work with a wellbeing partner one to one, setting goals to address current wellbeing needs and one option for them will be to map member’s wellbeing networks to structure the conversation. A conceptual overview of this approach is outlined in the animation below. This work is built on our NIHR funded study which developed a unique approach to mapping the connections to what was personally important for people with mental health problems. In summary, this approach mapped connection to places and engagement in meaningful activities alongside social ties (personal relationships), and looked at how these three interact. We asked people to rate the impact of each connection on their wellbeing and one of our key findings from this study was the potential for an intervention based on this methodology to help people build more resource rich networks to support their personal recovery. The full report from this study is available from the NIHR website, and we have also produced a short briefing paper based on the work if you’d like to learn more. We’re excited to see that our research is leading to a practical development that aims to improve wellbeing among people with long term mental health needs, and we understand an evaluation will track its impact over the coming year. We will stay in touch as we are interested to see how Hounslow Wellbeing network is received locally by people across the community. This is not going to be a mental health service, it is a community network drawing on the talents and interests of local people, including those with long term mental health needs. The new team leader is Sally Gomme and you can contact her directly sally.gomme@wlmht.nhs.uk to find out more. We also plan to continue our work on networks. We are pleased to be working with researchers at UCL, on a new NIHR School of Social Care Research funded study to develop a response to loneliness and mental health. We are also in conversation with other partners to use Personal Wellbeing mapping within peer-led services.